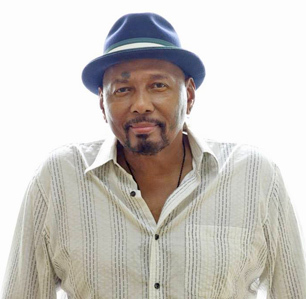 Having one of the most evocative and recognizable voices in American music, Aaron Neville is an international ambassador of New Orleans R&B, though his soaring falsetto sounds at home in many styles. This is an intimate duo show that we feel very fortunate to bring back to Bull Run. To hear Aaron’s voice in such a pure format, in our intimate room is amazing. Coming of age in the incredibly creative 1950s Crescent City R&B scene, Neville gained national attention with the Wild Tchoupitoulas, a touring Mardi Gras celebration that led to the creation of the Neville Brothers band - an institution in itself that would confirm Neville's iconic status. Over his amazing career, Aaron has scored a string of hits starting with 1966's #1 hit "Tell It Like It Is," which held the Number One spot on the R&B charts for five weeks. He went on to win Grammy Awards for his triple-platinum 1989 collaboration with Linda Ronstadt "Cry Like a Rainstorm, Howl Like the Wind" and reached the Country charts with the title track of 1993’s "The Grand Tour." For this very special show, expect Aaron to share stories about his family, his music and life long influences...up close and personal. OPEN: VANCE GILBERT - With ten critically acclaimed albums, Vance continues to refine his unlikely union of humor, virtuosity and the unexpected. Whether with classic, original songwriting or ageless interpretations of covers, his is a presentation steeped in deep humanism and bravery, stunning artistry and soul, and contagious, unbridled joy. Vance is now on tour with his brand new CD, "BaD Dog Buffet"